Here is an early Z.F.41 made by Emil Busch A-G in Rathenow (code cxn). The “K.F.” marking (Kältefest) indicates that the scope was lubricated with cold-resistant grease “Invarol”. 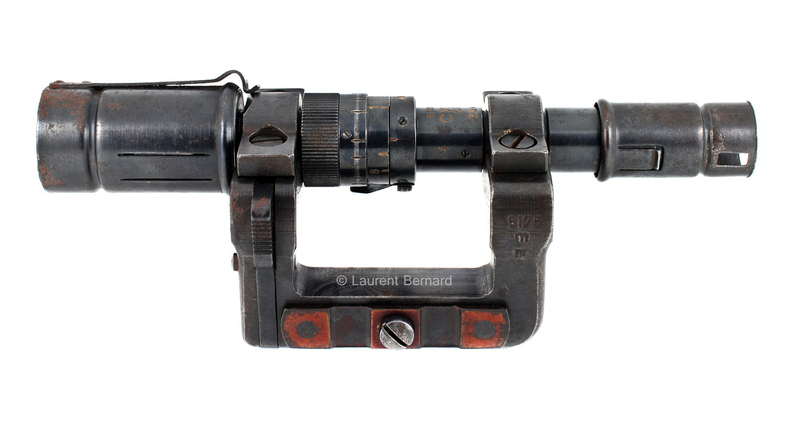 Early ZF41 sights used flat rollers mounts.